Abby Windows is one of the few women owned home improvement companies in Milwaukee. My reputation is on the line with every sale because I put my name on every job! I promise you straight, honest, knowledgeable advice. We are an EPA Lead Certified Company, City of Milwaukee Licensed, State of Wisconsin Dweller Certified/Licensed, Fully Insured, Member of NARI, Member of Angie’s List, and have a great reputation with the BBB. At ABBY Windows, we are committed to providing quality service to the community. 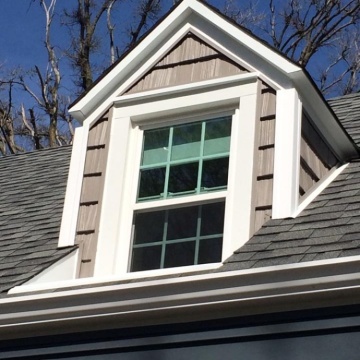 We use all factory-trained experienced installers and believe our caulk jobs stand alone. We believe that a reputation as an honest and reliable business is the recipe for success. While others seek to profit by cutting corners, or recommending unnecessary services to customers, Abby believes that a good reputation and consistent service will keep customers happy and loyal in the long run. By being trustworthy, she also believes that the company will enjoy long term success in the home improvement industry. Lauren and Josh were amazing! I would like to recognize the lead installer, he was awesome. The quality of the product is excellent and the communication, especially during the sales process was very good. Met all of my expectations. I've dealt with Abby for a number of years now for windows and doors. First rate service. I highly recommend!! Abby Windows had great workmanship, I love my windows, and I would refer this company to anyone. Abby Windows was great to work with! That staff and installers are so kind and professional and easy to work with! Great service!! Abby Windows was great to work with. Windows but finished quicker than expected and installation went great! Looking forward to working with Abby Windows on all my future housing needs. We are happy with the entire experience. When issues arise, Abby provided quick resolutions. We would definitely recommend them to others. Abby and her staff always have provided our family with the quality products and experience to match. Could I get replacement house items from home center sure, but then I have to understand that I will have to replace those items or accept the lower level installation. 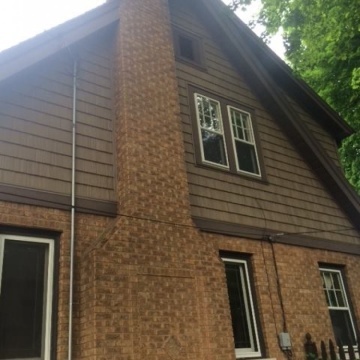 Why do the job twice when Abby windows allows us to step up to doing the job right once for not much more of an investment. I highly recommend them. Their work is very good! Outstanding patio door. The patio door far and away exceeded our expectations. The brochure regarding this door did not do it justice. I could not be more satisfied with the quality and craftsmanship of Abby's team and products. Great, quality products. Replaced original doors with a sliding door and it looks so much better and is way more efficient. We have three kids and a dog and they have definitely put it to the test. On install day, our contractor had a bit of a hiccup with the door size not matching up exactly as planned. He was quick to come up with a solution and install was still completed that same day. Thanks, Abby & Abby Windows team! She is a very nice person and they do a terrific job. I am very thankful. I heard about it on the radio station. I called and I am very satisfied with anything. I was most satisfied because she was very knowledgeable and good. Everything was done very well. I am very happy with the job. The guys who put the doors in were very good. The ones who fixed the roof was very good too. I am very happy with her service. She takes care of things if you notify her. I am very happy with Abby Windows. I was most satisfied with the whole package. I hired them because the company is female owned and I just put in for my second order. 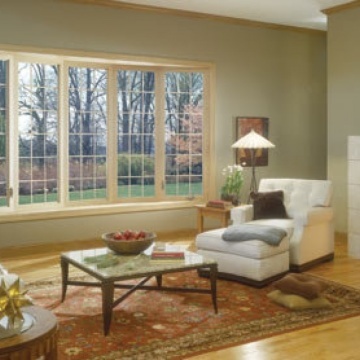 We definitely recommend Abby WIndows! Top notch, great product offerings and quality install and workmanship! the workmanship, they informed me as they worked. I was most satisfied that everything she said was true. The timing and price were great. The knowledge of the installer. I was kept in the loop during the installation process. I would recommend Abby Windows to anyone who is looking for a home improvement project. Abby and her team treated our home as a project they were invested in instead of a "job". We are still enjoying our improvement to our home and have received many compliments on the craftsmanship. Our 1936 Bungalow maintains craftsman-style that we like - Abby did a great job matching our upgrading needs to our desire to keep the traditional style of our home. We were very happy with Abby Windows and would not hesitate to use them again for future projects. They responded quickly to all questions and concerns. The responsiveness from Abby herself was amazing. I felt like I could get questions answered and problems resolved. We also felt that the quality of work was outstanding! Felix did a fantastic job with the siding. He took great pride in his work, and it showed in the results. My wife and I had sold our house, and as we were exploring new homes I had questions for Abby. We emailed back and forth and she assured me she could do work at our new place if needed. I was most satisfied with the communication between us and Abby.